Goals have been in the forefront of my mind, since New Year’s Eve, as I’ve struggled to come up with a goal for 2018 that excites me. But finally I’ve got it. My big goal for 2018 will be to complete every one of the 150 walks in this book. I’m hoping that it’s possible to cross them all off by New Years Eve 2018. Living in Central Victoria as I do, many of the walks are easily accessible to me. However some of them will take a little more planning. Some will require one or two nights away from home. But that’s not a bad thing. We have decided that when we need to be away from home overnight we will camp in a minimalist way. That is, in a tent, but without all the camping luxuries that we would usually take. In other words, back to basics. For me this adds extra excitement to the challenge, as I get to combine two loves – bushwalking and camping. 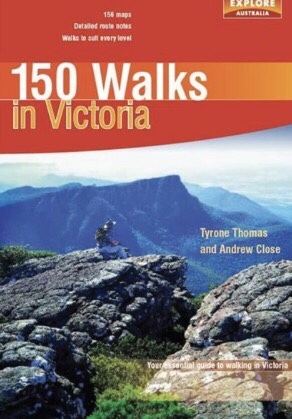 *150 Walks in Victoria by Tyrone Thomas and Andrew Close.